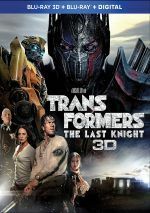 After 2007’s Transformers made $319 million, it surprised no one that the 2009 sequel fared well at the box office. However, I must admit I didn’t expect it to do as well as it did. Yes, sequels routinely outperform original flicks these days, but I didn’t think that Transformers was particularly well-received. As such, I figured its sequel would fall short of the first movie’s gross. Nope. As it happens, Revenge of the Fallen easily surpassed the original’s take. It ended up with a final gross of $402 million, a figure that placed it second among 2009’s releases; only the mega-smash Avatar topped it, and there’s no shame losing to the highest-grossing film of all-time as of that time. As he prepares to leave for college, Sam Witwicky (Shia LeBeouf) finds a shard of the “AllSpark”, the powerful cube around which the first movie’s story revolved. This infects him with its knowledge and makes him the target of the evil Decepticons. Led by a nasty dude named the Fallen, the Decepticons need to harvest the information so they can activate a doomsday device and absorb all the energy of the sun. The good guy Autobots work with Sam to ensure that this doesn’t happen. Even though I managed to sum up its “story” in the paragraph above, I still am not sure I actually covered it well. Actually, I’m really not sure there’s a plot here to synopsize, as Fallen comes across as one vaguely-connected action scene after another, with a little slapstick comedy thrown in between those set pieces. Which I don’t get, as these flicks seem like the proverbial two peas, so I can’t quite figure out why someone would enjoy one and hate the other. As someone who didn’t care for the original, I can’t find anything additional to dislike in the sequel, as it seems like a virtual continuation of its predecessor. Though I will admit Fallen escalates the style of the first movie and occasionally feels like self-parody, as every Michael Bay cliché appears in spades here. His tendency toward broad comedy goes way over the top – usually via the obnoxious portrayal of Sam’s mother – and Bay’s signature cinematic techniques go crazy. The stinking camera spins so much that I started to get dizzy – can’t Bay keep the image stable for even a brief period? Apparently not, so perhaps it’s the “Bay on steroids” feel that makes viewers rank it so much below the original. I don’t see a substantial difference, though. While Fallen might go to greater extremes, it’s not like the first flick exhibited any form of restraint. Transformers cranked its stylistic conceits to the proverbial “11”, while Fallen ups it to “12”. Potato, potahto. Truthfully, I think I enjoyed Fallen a little more than the original, perhaps because of altered expectations. As I related in my review of Transformers, I went into it with high hopes and felt disappointed by its generally poor quality. Given that I thought so little of the 2007 movie, I didn’t figure to get much out of the sequel. Perhaps I was better able to semi-enjoy it for what it was and not what it could have been. That’s pretty much the only explanation I can offer for why I preferred Fallen, as it really doesn’t have anything to make it superior to Transformers. Both squander their potential with incoherent story elements, one-dimensional characters and loud but lackluster action. I was tempted to simply cut and paste my comments about the first film, as they remain generally true here. Actually, I like LaBeouf less this time, but he’s still fine, so he does about as well as could be expected from his role. Fox continues to be hot, and the effects work well. Everything else? A mess. I think Bay can make good action movies – heck, I still like the much-derided Armageddon - but the robot-on-robot focus of much Fallen fighting makes the results less than exciting. I find it tough to care about those characters or worry what happens to them. I guess we’re supposed to be impressed by the sight of giant beings who beat the crud out of each other, but those moments seem like lots of noise without much impact. I also think that the series should’ve left out all of the military characters, as yhey seem anonymous and add next to nothing to the franchise. If the films stayed with Sam’s civilian perspective, they’d be more satisfying. And shorter, presumably, as Transformers ran a bloated 143 minutes, and Fallen ups that to 150 minutes. Action flicks can survive at those lengths, but not with such thin characters and such a muddled narrative. Without the meat to back up the mayhem, I think films of this sort should be much shorter. Would a 115-minute Fallen fare better? Probably. Lose the padding and focus on the positives to make this a tighter affair. It might not fix the mistakes, but it’d probably improve the product. Can 50 million Elvis fans be wrong? I guess not – clearly the Transformers films satisfy their intended audience. I continue to find them to disappoint, though. Fallen isn’t worse than its predecessor, but it fails to improve on that model. 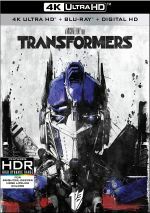 Transformers: Revenge of the Fallen appears in an aspect ratio of approximately 2.35:1 on this Blu-ray Disc - usually. The filmmakers shot a few bits with IMAX cameras, and those used a theatrical ratio around 1.43:1. For those scenes, the Blu-ray expands to 1.78:1, so it’s not the full IMAX image, but it’s closer than 2.35:1. The first IMAX shots appeared at the 59:24 mark, and with a few exceptions, the movie stayed 1.78:1 until 1:03:33. After that, we got more 1.78:1 material at 1:51:26, and this ratio flipped in and out – though more “out” - until 1:59:34. A whopping four seconds of 1.78:1 imagery popped up again at 2:03:52, and another five seconds could be found at 2:06:33. Why bother? At least the other two sequences used the expanded ratio in a satisfying manner. The greater screen real estate added kick to the fight scenes involved. Note that the IMAX version of the film ran a smidgen longer than the “standard” edition. That one went 2:29:53, whereas the IMAX cut lasted 2:30:24. 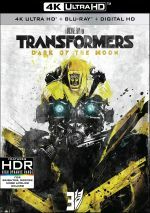 The added footage gave us a bit more in terms of Transformer battles. Whichever version, sharpness always appeared positive. This meant I thought the image seemed accurate and well-defined. I noticed no signs of shimmering or jaggies, and the movie lacked any print flaws. Effects became the most prominent component, of course, and packed a solid punch, with positive clarity and range. People invest major bucks in home theaters for flicks like this, and Fallen delivered the goods. When I compared this “Silver Screen Edition” with the ”standard ratio" Blu-ray, picture and audio appeared virtually identical. Sure, the IMAX footage boasted superior definition when compared to the 2.35:1 material, but because we got the expanded aspect ratio for only about five percent of the film, this didn’t make a notable difference. The slightly longer cut of the film also failed to cause a distinct change. As such, fans who already own the “standard” Blu-ray don’t need to upgrade to this one. The few minutes of IMAX footage was nice but we didn’t get enough to require a repurchase. Of course, if you don’t have any Blu-ray, you might as well go for the “Big Screen” disc, as it’s the slightly preferred version. If you want to see/hear Fallen at its best, though, you need to go for the 4K UHD release - if you have the equipment to play it, that is. 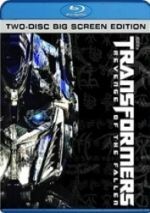 With 2009’s Revenge of the Fallen, the second Transformers film offers an experience much like that of its predecessor. That’s great if you liked the 2007 flick but not so good if – like me – you didn’t care for it. The Blu-ray offers excellent picture and audio along with a nice selection of supplements. Expect a highly stylized, incoherent and generally mediocre action film here.